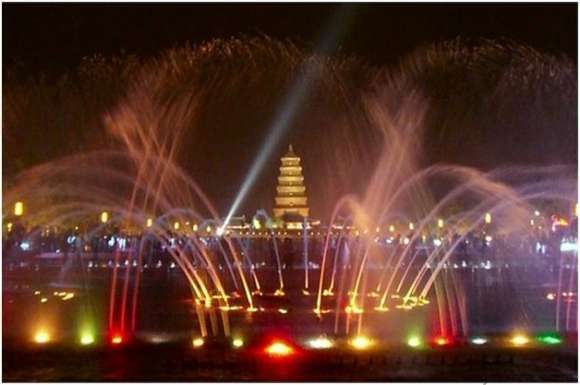 The Big Wild Goose Pagoda Music Fountain is notable for its majestic backdrop, the ancient and eponymous pagoda, built over 1200 years ago. 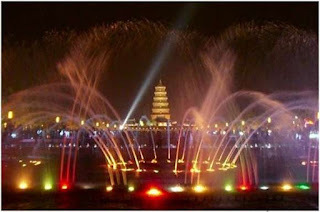 The fountain show is free and can attract crowds of up to 100,000 people in the summertime. The beautiful display spouts folding landscapes of water and fire while the atmospheric mist rises below the ancient pagoda.